Used to promote the health of the circulatory system, treat angina, high blood pressure, congestive heart failure and cardiac arrhythmia and has been found to strengthen the heart. Hawthorn is widely regarded in Europe as a safe and effective treatment for the early stages of heart disease and has been used for a number of ailments including angina, myocarditis, arteriosclerosis, nervous conditions like insomnia, and diarrhea. It has also been indicated for strengthening blood vessels, vascular insufficiency and blood clots, restoring the heart muscle wall, lowering cholesterol and to aid digestion. Hawthorn is widely regarded in Europe as a safe and effective treatment for the early stages of heart disease and is endorsed by Commission E- the branch of the German government that studies and approves herbal treatments. It is used to promote the health of the circulatory system and has been found useful in treating angina, high blood pressure, congestive heart failure and cardiac arrhythmia. It has been found to strengthen the heart and stabalise it against arrythmias. There is also evidence for cardiovascular system improvement, particularly in clinical parameters associated with angina, congestive heart failure and acute myocardial infarct. This may be due to the herb's antioxidant activity. Its use in the treatment of hepatitis in modern Chinese medicine is supported by the demonstration of hepatoprotective activity in animal studies. Animal and laboratory studies have found that hawthorn contains active compounds with antioxidant properties. Antioxidants are substances that scavenge free radicals; damaging compounds in the body that alter cell membranes, tamper with DNA, and even cause cell death. Free radicals occur naturally in the body, but environmental toxins (including ultraviolet light, radiation, cigarette smoking, and air pollution) can also increase their number. Free radicals are believed to contribute to the ageing process as well as the development of a number of health problems including heart disease. Antioxidants found in hawthorn can neutralise free radicals and may reduce or even help prevent some of the damage they cause. Hawthorn has primarily been studied in people with congestive heart failure (a health condition in which the heart is unable to pump adequate amounts of blood to other organs in the body). Of six well-designed trials, four studies concluded that hawthorn significantly improved heart function and three found that the herb improved patients' ability to exercise. Patients in five of the six studies reported that hawthorn significantly improved symptoms of the disease (such as shortness of breath and fatigue). One study found that hawthorn extract (900 mg/day) taken for 2 months was as effective as low doses of captropril (a leading heart medication) in improving symptoms of congestive heart failure. A large-scale international study is currently under way to determine whether hawthorn extract reduces the risk of death in people with this disease. Animal and laboratory studies demonstrate that this herb has antioxidant properties that help protect against the formation of plaques, which leads to a health problem known as atherosclerosis. Plaque buildup in the vessels that supply the heart with oxygen-rich blood may cause chest pain (angina) and heart attacks while plaque buildup in the arteries that supply blood to the brain may result in stroke. Hawthorn berry preparations have been shown to combat chest pain (angina), a health problem caused by insufficient blood flow to the heart. 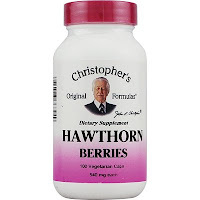 In one early study, 60 angina patients were given either 180 mg/day of hawthorn berry-leaf-flower extract or placebo for 3 weeks. Those who received the hawthorn preparation experienced improved blood flow to the heart and were also able to exercise for longer periods of time without suffering from chest pain. Studies using rats suggest that a hawthorn tincture (made from the berries) may be a powerful agent for the removal of LDL ("bad") cholesterol from the bloodstream. The tincture of hawthorn berries also reduced the production of cholesterol in the liver of rats who were being fed a high-cholesterol diet. Studies to determine if hawthorn will confer the same effects in people are needed. Although hawthorn has not been studied specifically in people with high blood pressure, considerable evidence supports the cardiovascular benefits of this herb. Studies suggest that hawthorn can be taken safely by people with hypertension who are also taking blood pressure medications. A lot of our health problems are caused by a deficiency in Magnesium. Much research has found that individuals with magnesium deficiency are at an increased risk for developing diabetes, high blood pressure, Parkinson’s, kidney stones, and restless legs syndrome, just to name a few. There are several ways you can increase your magnesium. 1. Use Epsom salts – Add Epsom salts to your bath or make a foot bath. Magnesium is highly absorbed through the skin (transdermally) . 4. Take a magnesium supplement. It is so important to use all-natural skin care on Infants as they have such sensitive skin. You don't want to put products on them that are filled with chemicals that could cause a allergic reaction. The natural products do cost more, but are truly well worth the added expense. Did you know that the baby shampoo's that say "Tear Free" have a numbing agent added to it and that is why it doesn't burn if it gets in their eyes? Why not just use an all natural product that will not harm them if it does happen to come in contact with their eyes? Not only for shampoo, but other natural products as well. Why not give your baby the best care possible? Take the time to read the labels on what you are putting not only on your baby but in your baby as well. Start them off on the right track by keeping their immune system healthy and that goes right along with their entire bodies as well. If you can't afford to go all natural at once, its ok, just pick one product that you can use that is strictly natural, like Shampoo . Thats a start, and then eventually maybe you can add in baby lotions and powders, etc. What is the difference between a Masticating and a Centrifugal juicer? 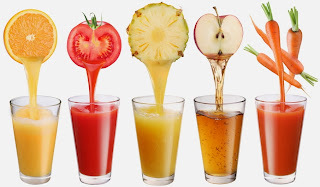 Centrifugal juicers are more commonplace, and in general, more affordable. They typically have an upright design in which food is pushed into a rapidly spinning mesh chamber with sharp teeth on its floor. The teeth shred the food into a pulp, and the centrifugal motion pulls the juice out of the pulp and through the mesh filter, where it is funneled out of the juicer via a spigot. In most centrifugal juicers, the pulp, once most of the juice has been pulled out, is ejected into a separate collection chamber. Centrifugal juicers work best with soft and hard fruits and vegetables, but not quite as well with leafy greens like kale or spinach, or with wheatgrass. Masticating juicers, meanwhile, typically have a horizontal design in which a tube containing the auger extends out of motorized base. Pieces of fruits and vegetables are pushed into the top of the tube, and they are crushed and squeezed by the auger. Juice drains out of the underside of the tube, while the pulp is squeezed out at the end of the tube.Because of the slower crushing and squeezing action, masticating juicers can process leafy greens and wheatgrass, and the juice that they produce will last much longer than juice made in a centrifugal juicer, which should be consumed right away as it starts losing nutrients nearly immediately. The active ingredient in turmeric is curcumin. Tumeric has been used for over 2500 years in India, where it was most likely first used as a dye. The medicinal properties of this spice have been slowly revealing themselves over the centuries. Long known for its anti-inflammatory properties, recent research has revealed that turmeric is a natural wonder, proving beneficial in the treatment of many different health conditions from cancer to Alzheimer's disease. 7. May prevent and slow the progression of Alzheimer's disease by removing amyloyd plaque buildup in the brain. Turmeric can be taken in powder or pill form. Once you start using turmeric on a regular basis, it's fun to find new ways to use it in recipes. My favorite way to use it is to add a pinch of it to egg salad. It adds a nice flavor and gives the egg salad a rich yellow hue. In my opinion, no one should ever be without Turmeric. Kelp is an herb which is so high in vitamins, nutrients, and minerals that it works wonderfully as an all-around every day vitamin. It's particularly useful as a women's vitamin because it's high in iron, calcium, and potassium -- all of which tend to be essential for women during menstruation, or while pregnant or nursing. Kelp has a salty taste to it, and some people even use it in place of salt. It's also a natural source of iodine and this is where a lot of its medicinal, healing, and wellness power comes into play. Iodine is essential to your body as it helps the thyroid properly function. And the thyroid controls growth, energy and metabolism in your body. Since kelp is a natural source of iodine, it's absorbed by your body more slowly and safely than chemical iodine is. Kelp regulates both the thyroid and pituitary glands, plus it activates all glands in your body. It's wonderful for nail growth and hair loss too, plus it can help regulate your body temperature. It may even help if you have problems with chronic low body temperature. Kelp is beneficial to the pancreas and the prostrate. It also builds cell membranes, helps the digestive system, can help prevent the growth of tumors, can help cleanse the body of radiation, and normalize glands and hormones. The natural, high iodine content of kelp actually helps it act as an antibiotic in your body too. When there's an infection in your body, kelp will help assist the thyroid to release more iodine into your blood stream, and iodine kills infections. Kelp also acts as a diuretic, which means it will help you shed water your body might retain, and help with High Blood Pressure. I feel my best when I walk every day. Its hard some days to make myself do it, especially when the weather is too hot, too cold, raining, etc , etc. Too many excuses ! I have never walked then regretted it....not once. Quite the opposite, I always feel very glad I put my shoes on and went for that 30 min walk. I have a great 15 year old son who really encourages me to walk. Try to find someone like that, someone who will get on you to walk every single day no matter what. And you will find it so easy to increase how long you walk once you get into a regular routine. Walking. This is perhaps the most basic form of exercise available. It's something that mostly everyone can do, that's low impact and that's entirely pleasant. And as it happens it has immense health benefits once you start making a proper habit of it. All of us walk from time to time already. Chances are you will walk at least some of the way on your journey to work (even if it's just to the tube station) and you're also likely to walk on occasion when you visit the shops or when you're looking for a way to pass the time for an afternoon. But to get the full health benefits of walking you need to do it regularly and with purpose. Even if you only walk for fifteen minutes a day you'll see marked improvements in your overall health but the more you can get the more pronounced the benefits will be. The good news is that there are plenty of ways you can easily introduce this kind of walking into your routine too – park a little way away from the shops, get off one stop early when you ride the bus home from work, or just wake up fifteen minutes earlier and have a morning stroll while it's nice and quiet. These are simple changes that will bring you great health benefits. Fitness: Walking might not be anywhere near as intensive as jogging but it can still have a very good impact on your health if you walk far enough, often enough and fast enough. Studies show that regularly walking can help to lower your chances of heart disease or stroke, can decrease bad (LDL) cholesterol and boost the good cholesterol. It can also help you to lose weight and to improve your overall fitness by burning energy and increasing your heart rate. Unlike some other forms of cardiovascular exercise however, walking does not place too much strain on your body. It's unlikely to trigger any kind of attach, it doesn't jar your knees or lead to shin splints and it's unlikely to lead to injury. Creativity: Walking has been demonstrated to help encourage creative thinking and to promote the generation of good ideas. This has been shown in a number of studies and in one it was shown that even being pushed in a wheelchair through a scenic park would be less beneficial for your creative juices than walking on a treadmill in front of a blank wall. In other words, these experiments demonstrate that it really is the actual act of walking that boosts this creativity and not the scenery (though other studies have shown that nice scenery can do that too!). Walking has other cognitive benefits too and some studies have shown that it can help to prevent dementia. This is true of any physical activity and it turns out that regular walking (six miles a week plus) is sufficient to tap into those benefits. Mood: Walking is great for your mood resulting in the release of mood boosting hormones and neurotransmitters such as serotonin and dopamine similar to running. At the same time you will also find your mood improves from being outdoors, particularly thanks to the sun. This is a good way to combat 'SAD' or 'Seasonal Affective Disorder' as the nights start getting longer. Bone Health: Just as the sun can do wonders for your mood, so too can it help to strengthen your bones. That's because sunlight stimulates our body to produce more vitamin D which in turn regulates the absorption of calcium and phosphorous. Further to this, walking also helps to prevent osteoporosis because it is a 'weight bearing activity'. In other words, it places pressure on our bones which stimulates them to increase their density. This is particularly important as you get older and your bones are liable to becoming more brittle. Toning: Just as walking is sufficient to provide a basic cardio workout, it's also enough to give you some basic muscle toning benefits. The areas that stand to benefit most are the legs, bum and tum (women rejoice!) and especially if you decide to take a hike uphill. On top of these areas though, walking is also useful for toning your arms and shoulders as these move too during your strolls. Take a look at the shoulders of Usain Bolt and you'll see just what the piston motion of the arms can do for you – though you'll see a much smaller change from lightly walking compared with Usain Bolt! So there you have it, there are plenty of great reasons to go for a regular stroll and when you weigh the small amount of effort against the huge number of rewards it's hard for anyone to make a case against walking. What's your excuse? Adam Sinicki is a full time writer who spends most of his time in the coffee shops of London. Adam has a BSc in psychology and is an amateur bodybuilder with a couple of competition wins to his name. His other interests are self improvement, general health, transhumanism and brain training. As well as writing for websites and magazines, he also runs his own sites and has published several books and apps on these topics. He lives in London, England with his girlfriend and in his spare time he enjoys climbing, travelling, playing games, reading comics and eating sandwiches. Shingles can be really painful. They are characterized as viral infections that can lead to rash with blisters. Shingles can occur anywhere on the body and usually in children or young adults. Most of the time shingles appear on the right or left side of your torso as a single stripe. The main cause for shingles is the varicella-zoster virus. It is the same virus that causes chickenpox, but doesn’t necessarily appear the same time as the original infection. It can happen decades after that. If you’ve had chickenpox, most likely you still have the virus. It lies inactive in your body and may be reactivated as shingles. Fortunately shingles are not life-threatening, but they can cause a lot of pain and discomfort. The first time is always the most painful. The risk can be reduced with a vaccine, but it is best to treat it naturally in the early stages. Appropriate treatment can lead to a short-lived outbreak. Just like normal herpes, this virus too thrives in people that have weak immune system, particularly if the ratio of L-arginine to L-lysine amino acids in a person is not appropriate. Since these amino acids come from foods, it is best to treat shingles through an appropriate diet. If your arginine levels are higher, the virus will thrive. Lysine rich foods are Asparagus, beans, green, pineapples, avocados, apricots, pears, apples, eggs, milk, cheese, yogurt, fish and all meats. Sugars, chocolate, peanuts, blueberries, blackberries, pecan, pumpkin seeds, grapes, cashews, Brussels sprouts, wheat germ and tomatoes. Get your essential fatty acids through flaxseed oil. These are very important for your nervous system and skin. One tablespoon of flaxseed oil twice a day should suffice. You can get the capsaicin compound from eating cayenne or chili pepper. It helps reduce the pain generated from shingles by blocking the pain signals from the nerves. You can get capsaicin through ointments. Apply the ointment on your shingles spots 4-5 times daily. Find this extract and take 1,000 milligrams three times a day. It has anti-inflammatory and antiviral actions. If you want the best antiviral properties, consume garlic. You can also take garlic extract in the form of capsules. Take 2 capsules twice a day. However, it is best to mince garlic cloves and introduce them to your favorite dish. Also known as melissa, the lemon balm has anti-herpes properties due to the compounds known as polyphenols. Some say that this is the best herbal treatment for shingles. Apply lemon balm tea on your spots by mixing 2-4 teaspoons per coup in boiling water. This extract stimulates immune system and helps fight infections. 500 milligrams three times a day are enough to fight this herpes virus. (NaturalNews) It seems energy can be found everywhere these days. Energy in a can, energy in a cup, energy in a bottle. . .Wherever it is, people are looking for it because, well, we seem to be lacking it. Generally speaking, synthetic energy enhancement can have some long term health consequences, one of which is a dependence on whatever substance it is that's giving you that extra boost. 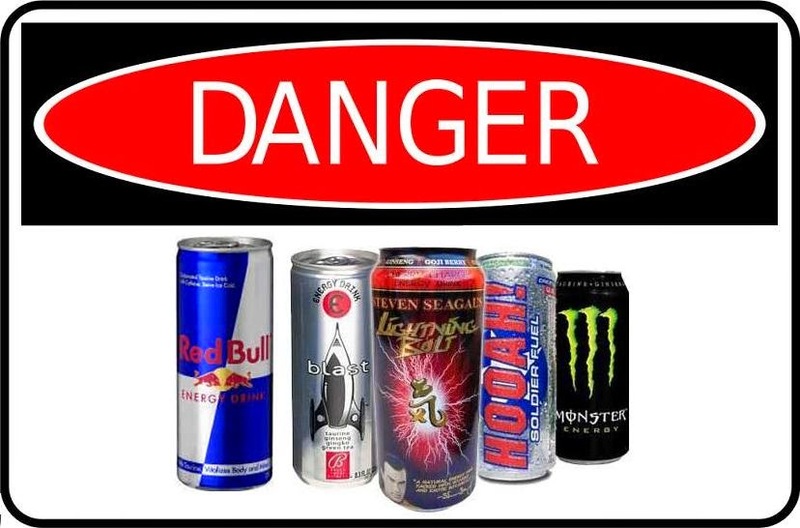 In fact, new research from Wayne State University says that one of the most popular - and easy to find - energy enhancers can pose health risks to people with heart conditions: energy drinks. I'm sure you've seen these energy drinks. According to researchers, popular energy drinks like Red Bull cause the heart rate to race at rates dangerous for people with heart conditions like heart disease. Researchers found that within four hours of drinking various energy drinks, the 15 participants' blood pressure rates and heart rates increased approximately 10 percent for the systolic rate, 8 percent for the diastolic rate and heart rates increased 11 percent. Researchers note that these levels are of little importance for healthy young adults (the average age of participants was 26) but these kinds of levels can be serious for people with heart conditions. One researcher said that these results can be "clinically significant" for those who take medication to treat their heart condition as energy drinks may adversely affect heart medications' effectiveness. And while these energy drinks are often used when performing activities that require focus, heart rates increased for these participants while sedentary; such as while watching movies. In short, researchers advise anyone who has a heart condition to avoid energy drinks until further research is done. 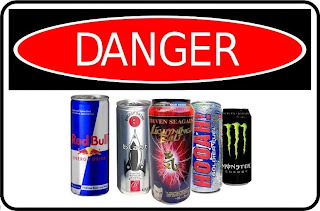 But you really ought to avoid these energy drinks all together. They're loaded with caffeine, which has been linked to cancer, cardiovascular problems, extreme mood swings and dependence. So, how do you boost your energy levels naturally? Perhaps the easiest way is to get more sleep. Granted, we all have busy schedules, but you really need at least eight hours of sleep a night to ensure that you're ripe, ready, refreshed and raring to go for the week ahead. Another way is by exercising more frequently, which has been shown to fight fatigue and boost energy levels. You can also take Omega-3 and CoQ10 supplements. These supplements enhance the fatty acids and enzymes that are already in your body. In fact, when you feel like your energy levels are especially low, it may be because your co enzyme levels are so low. A CoQ10 supplement is exactly what you need in such a situation. Another easy way to increase energy levels is to eat breakfast. Not eating breakfast has been directly correlated with those who feel lethargic throughout the day. The best breakfast combines complex carbohydrates (e.g. whole grain, 100 percent whole wheat bread) with quality proteins that have essential amino acids (e.g. hard boiled egg). It's not rocket science, it's just a matter of being considerate of your health and what it takes to stay energized - the natural way. Frank Mangano is an American author, health advocate, researcher and entrepreneur in the field of alternative health. He is perhaps best known for his book "The Blood Pressure Miracle," which continues to be an Amazon best selling book. Additionally, he has published numerous reports and a considerable amount of articles pertaining to natural health. 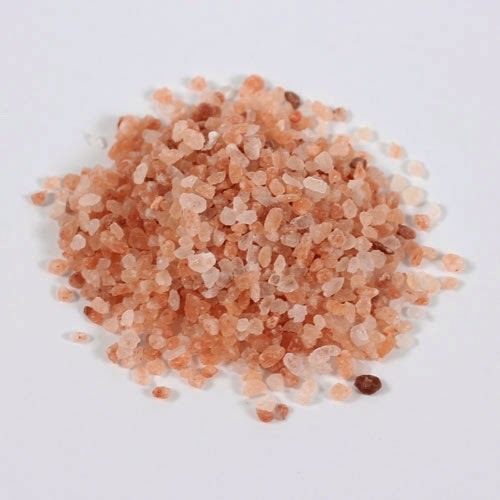 With its pink, rose-like color, Himalayan salt is visually distinctive and known for its nutritional profile as it contains a high number of essential minerals. Himalayan salt is considered healthier than table salt because it does not contain any additives or chemicals, and is a naturally occurring substance. Himalayan salt has been used to help detoxify the body in the form of a brine treatment. Most commonly done in the form of a bath, brine baths purport to detoxify the body through osmosis. As the sodium binds the water to the outer layer of your skin, moisture is preserved. Toxins are released from your body, while your skin absorbs the healthy minerals from the sodium into your body. It is recommended that the brine bath be as close as possible to normal body temperature, around 97 degrees Fahrenheit, and that you use 2.2 lbs. of Himalayan salt for approximately every 26 to 32 gallons of water. As a natural source of sodium, Himalayan salt provides an essential mineral for healthy bodily functions. 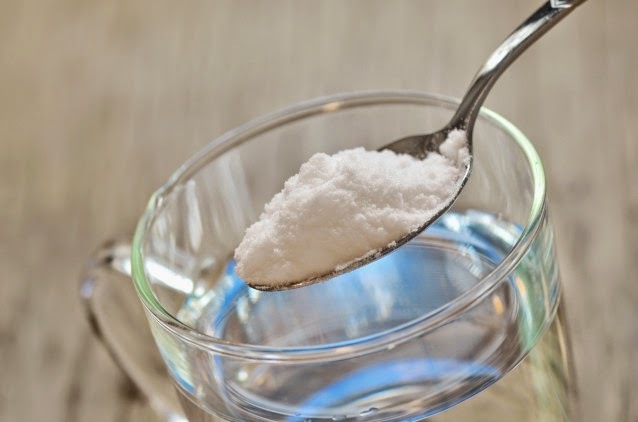 Sodium helps to regulate blood volume and thus blood pressure, as well as helping to control muscle contractions, nerve transmissions and heart functions. 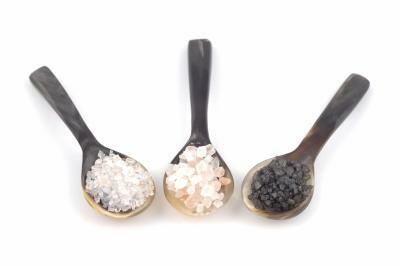 Sodium can be found naturally in a number of foods, but it can also be consumed as added salt, as in the case of Himalayan salt. The daily recommended amount of sodium to be consumed daily is between 1500 mg and 2300 mg, for men and women between the ages of 9 and 50. Most common nutrient deficiencies affect both the developing and affluent world. This proves that it is not the lack of resources that causes health problems. In fact, the remedies usually do not cost so much and are readily available. So what is the root of the problem? Iron is important in the delivery of oxygenated blood throughout the body. Without it, your cells will be oxygen-deprived and this could lead to symptoms such as fatigue, irritability, shortness of breath, and inability to focus, to name a few. What is more alarming is that iron deficiency in little children can lead to complications like mental retardation, delayed physical growth, and behavioral problems. Adults need 8-10 mg of iron per day. Growing kids, and pregnant and menstruating women require more iron intake per day. Take note that Vitamin C helps in the absorption of iron by the body. 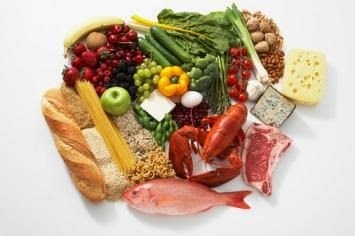 Therefore, when you consume these foods, do it together with Vitamin C-rich foods. Here are some staggering data concerning iodine. An estimated 740 million people all over the world are affected by this nutritional deficiency. The daily requirement of iodine is only 150 micrograms. That is roughly like a 20,000th of a teaspoon. Iodine deficiency can lead to these complications: Infertility, autoimmune diseases of the thyroid, hypertension to pregnant women, mental retardation to babies, and increased risk for thyroid cancer. In addition, cancers of the prostrate, breast, and ovary have been linked to inadequate iodine volume in the body as well. Around 2.8 million children below 5 years old have lost their sight due to this deficiency. Impaired immunity. One becomes prone to diseases. 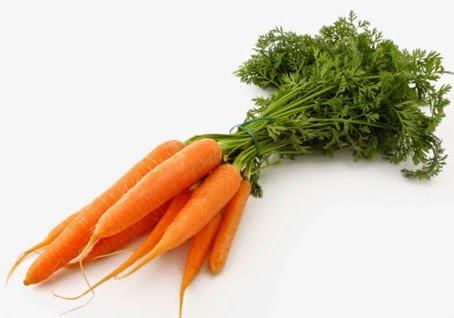 Regular intake of carrots, sweet potatoes, dark leafy greens, fish, bell peppers, dried apricots and cantaloupe meets the daily requirement need of 5000 IU Vitamin A.
Magnesium may be the most commonly deficient mineral in human nutrition. It is known as the calming or anti-stress mineral and is very important to many human functions. Magnesium is a mineral needed by every cell of the body. About half of the body’s stores are found inside cells of body tissues and organs, and half are combined with calcium and phosphorus in bone. Only 1 percent of the magnesium in the body is found in blood. The body works very hard to keep blood levels of magnesium constant. Because the body easily eliminates excess magnesium, toxicity is nearly unknown, although an excess can cause loose stools or diarrhea. Deficiency is quite common and can lead to muscle cramps, fatigue, irritability and insomnia. Used for anxiety, high blood pressure, poor sleep, asthma attacks, menstrual and muscle cramps and abnormal heartbeats. 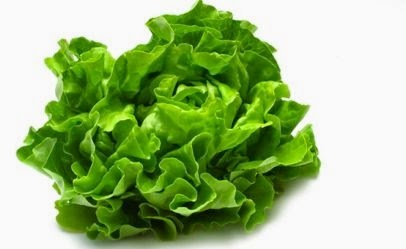 Green vegetables such as spinach provide magnesium because the center of the chlorophyll molecule contains it. Nuts, seeds, and some whole grains are also good sources of magnesium. Although magnesium is present in many foods, it usually occurs in small amounts. As with most nutrients, daily needs for magnesium cannot be met from a single food. Eating a wide variety of foods, including five servings of fruits and vegetables daily and plenty of whole grains, helps to ensure an adequate intake of magnesium. The magnesium content of refined foods is usually low. Whole-wheat bread, for example, has twice as much magnesium as white bread because the magnesium-rich germ and bran are removed when white flour is processed. Doctors will measure blood levels of magnesium whenever a deficiency is suspected. When levels are mildly depleted, increasing dietary intake of magnesium can help restore blood levels to normal. Eating at least five servings of fruits and vegetables daily, and choosing dark-green leafy vegetables often, as recommended by the Dietary Guidelines for Americans, the Food Guide Pyramid, and the Five-a-Day program, will help adults consume recommended amounts of magnesium. 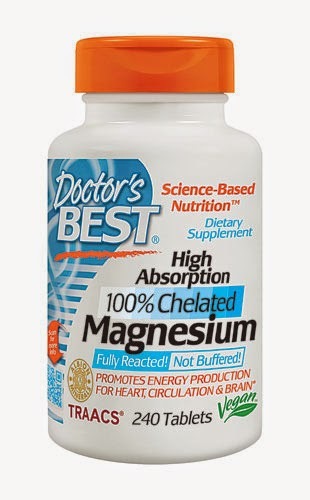 Magnesium tablets also may be prescribed, but some forms, in particular magnesium salts, can cause diarrhea. When in doubt, a doctor or qualified health-care provider can recommend the best way to get extra magnesium when it is needed. Magnesium also protects the nerves in the inner ear and is a powerful glutamate inhibitor. Glutamate is a neurotransmitter, produced by the action of sound waves on the hair cells of the inner ear. The unregulated production of glutamate at sound frequencies for which there is no external stimulation is the cause of tinnitus. Dr. Michael Seidman, in his excellent article, “Medicines to Treat the Inner Ear” states; “Decreased blood supply causes significant stress to the nerve tissue (of the inner ear) by causing the production of free radicals. (Author’s note: The major causes of tinnitus all result in decreased blood supply.) These molecules are extremely damaging and are known to be responsible for over 100 human disorders. The accumulation of free radicals severely damages the inner ear and other tissues. Through a complex chain of events, this damage can then cause a release and accumulation of glutamate and calpains. 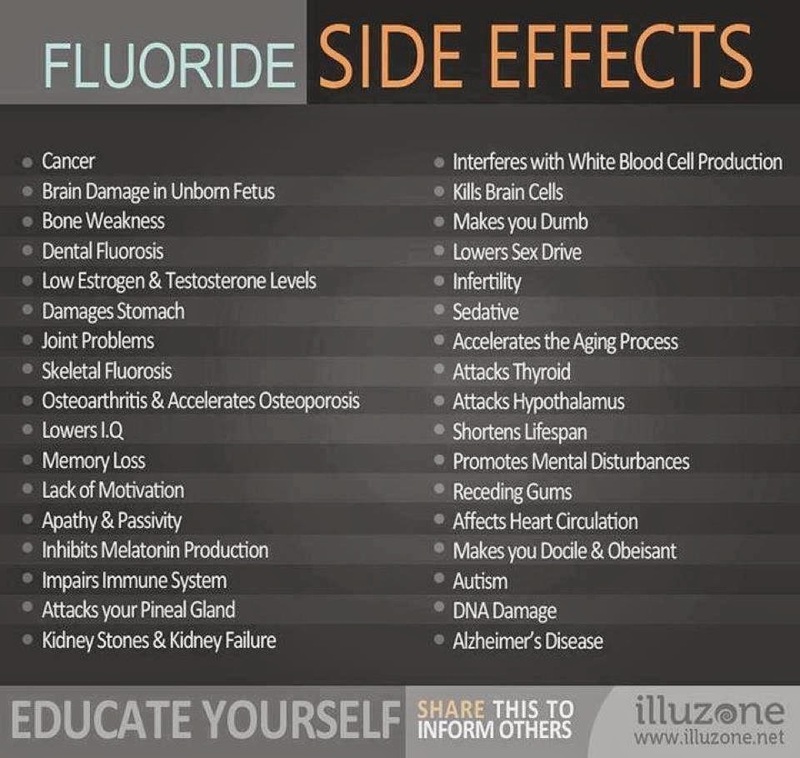 These chemicals in high concentration are extremely destructive to the body. “Studies have shown that excessive glutamate may play a role in the production of tinnitus. Studies also show that glutamate antagonists can have a protective effect on the inner ear and possibly be a treatment for peripheral tinnitus, that which is generated by the inner ear. Three such drugs are currently under investigation at the Henry Ford Health System for tinnitus, including magnesium. These products can be easily found on health food store shelves and are quite inexpensive. A recommended daily dosage is 400 mg magnesium and 1,000 mg calcium. Magnesium can be taken in therapeutic doses up to 600 mg daily. Because magnesium causes smooth muscle relaxation, it can loosen the bowels. If this happens, reduce the dosage a little. Note: Check out my Magnesium Supplements and order today! What are colloidal minerals? Well, it is a blend of minerals that can be found in some of the form of suspension or solution. Usually, colloidal minerals are commercially available produced from mining ancient sea beds, and then mixing the mined minerals with water or other fluid to hold them in solution. These products provide a large number of minerals. In 1900’s, the colloidal silver is said to be good medical treatments. The silver was used as an antiseptic and antibiotic until in the twentieth century, the development of synthetic medications made it fall out of favor. Nowadays, it becomes popular again as a good alternative for different condition. Colloidal silver is a mineral. It acts as a catalyst. It reacts with bacteria and viruses inside the body. The silver disables the enzyme which is the major need of harmful bacteria and causes them to suffocate. However, silver won’t damage the human cell walls. The negatively charged silver ions will bind with the positively charged pathogen ions, which will cause interruption on their reproductive cycle and stopping them from replicating throughout the body. - By consuming silver water may also be helpful for digestive problems and help to treat parasites. -Spraying silver solution on the affected area can help skin problems, burns, eye infections and other external medical problems. -There are reported cases that sufferers who took colloidal silver, have been experiencing great changes in their diet. -Colloidal silver is also used curing for lung conditions including emphysema and bronchitis; skin conditions including rosacea, cradle cap (atopic dermatitis), eczema, impetigo, and psoriasis; and inflammation (sometimes due to infection) of the bladder (cystitis), prostate (prostatitis), colon (colitis), nose (rhinitis), stomach (gastritis), tonsils (tonsillitis), appendix (appendicitis), and sinuses (sinusitis). -Colloidal silver is also believed that is an effective treatment of cancer, diabetes, arthritis, lupus, chronic fatigue syndrome, leukemia, hay fever and other allergies, trench foot, and gum disease. 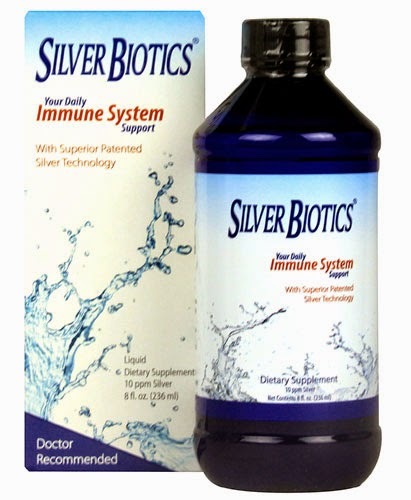 -Some people also believe that colloidal silver is also used to prevent flu, H1N1 (swine) flu, and the common cold. -There are some women take colloidal silver during pregnancy in order to aid the baby's growth and health as well as the mother's delivery and recovery. -There are some of us applied colloidal silver directly to the skin for acne, burns, eye infections, fungal infections, throat infections, skin infections, and Staphylococcus infections. Minerals are very important because they are the building blocks of our bodies. All living cells of the human bodies depend on minerals for proper structure and function. It is good that you ensure that you have the proper minerals. However, no one has yet to spend the millions and millions of dollars required to do a FDA approved study (and the FDA refuses to do any nutritional supplement studies). • Male-pattern baldness can be the result of a tin deficiency. • Diabetes and hypoglycemia can be due to vanadium and chromium deficiencies. • Periodontal disease can be the result of a calcium deficiency.